Glenroy College has a whole school approach to Literacy where everyone is responsible for the teaching and learning of literacy. The teaching of Literacy is underpinned by the application of the High Reliability Literacy Teaching Procedures from Professor John Munro of Melbourne University. All classes focus on Getting Knowledge Ready and Clarifying Vocabulary for reading. Reading Aloud is important to give a visual and auditory input to the brain. Students learn to Paraphrase text and to Say and Write Questions that the text answers. This shifts the responsibility for reading to the students. Summarising the text and Reviewing what they have read are the final stages of these regular routines for dealing with written text. The High Reliability Literacy Teaching Procedures (HRLTPs) are seven procedures that support students to improve their literacy abilities. Staff at Glenroy College have spent considerable time learning the strategies and are expected to plan for and use them in their lessons. In particular, in any subject, when students are asked to read a piece of text, teachers need to embed the seven strategies within the lesson plan. The seven strategies are: Getting Knowledge Ready, Vocabulary, Reading Aloud, Say questions text answers, Paraphrasing, Summarising and Review. Glenroy College has a set of agreed tasks that teachers can use to support implementation of the HRLTPs into their classroom practice. I Predict This Text Will Be About…. What Words Do You Need To Clarify? Our use of On Demand and Progressive Achievement Tests (PAT) online testing has enabled us to create detailed information about the progress of each student in Reading. Each student is tracked from Year 7 to 10. By closely monitoring the results, students feel more supported in their efforts to improve their levels. On Demand reading data is used to inform planning of class lessons. 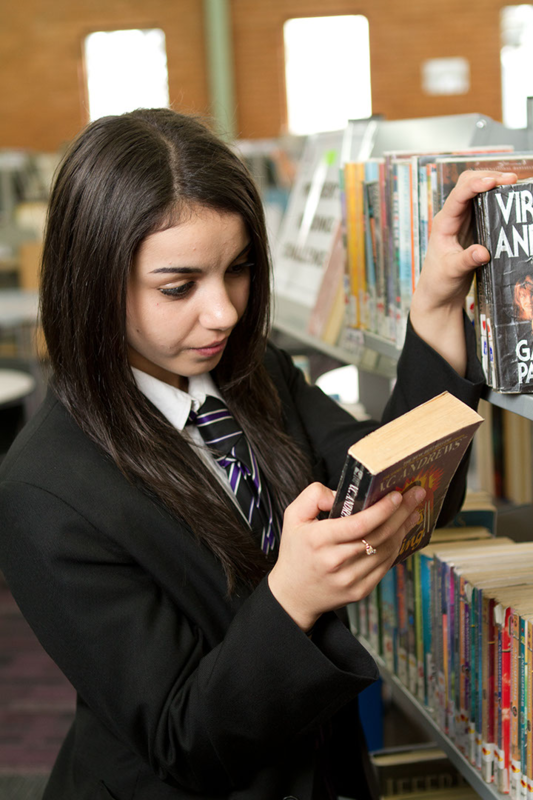 Analysis of this data over the past 3 years shows significant improvement in reading levels. These results are available for parents to see at Parent/Teacher interviews. We recognise that Oral language is the foundation for literacy. 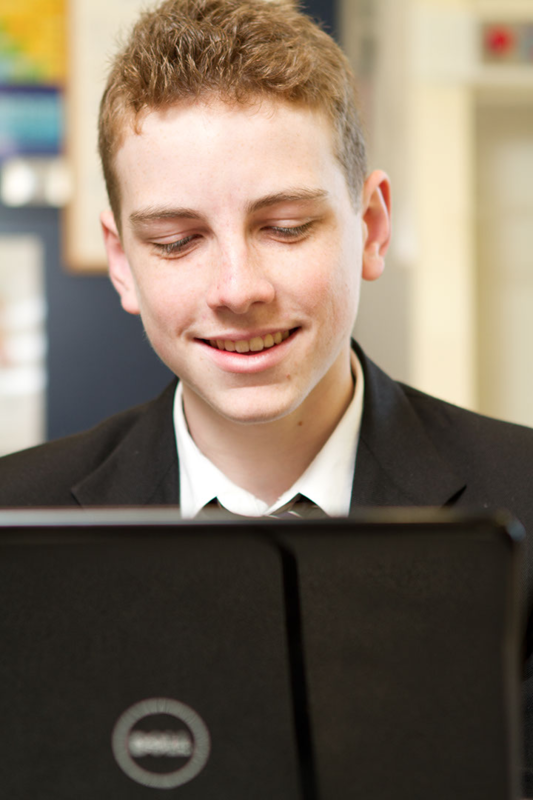 We have an extensive program to support year 7 & 8 students to speak fluently and effectively. To support students to follow instructions, staff have agreed to a consistent board layout for each class to assist students who need the visual display of instructions to back up the oral instructions. As part of this program, students are given opportunities to visualise what they are reading or hearing. A range of resources is available for all levels of literacy. Varied activities: vocabulary, shared reading, play reading, graded comprehension cards, tutor systems, reading games, fluency timed reading and charts, grammar reviews, note-taking, read and retells etc. Every year students in years 7-9 have an opportunity to take part in the Victorian Premiers’ Reading Challenge. The Premiers' Reading Challenge encourages children to read a set number of books and record their efforts online. It's a great way to get young people talking about reading with their friends and pushing themselves to read as many books as they can. Take the Challenge, read, record what you've read and vote for your favourite books. If the Challenge is met, the Premier of Victoria will send you a certificate of achievement. To meet the Challenge you need to read fifteen books by a set date and keep a record of them. We know that reading is critical to the development of our kids. It’s why the Challenge is so important. It helps children understand the world around them, developing their language skills and nurturing their imagination.